This is a non-traditional title. Please email or call us for price. In 1940, on the eve of the United States' entrance into World War II, Iris James, the postmistress of Franklin, a small town on Cape Cod, does the unthinkable: she doesn't deliver a letter. In London, American radio gal Frankie Bard is working with Edward R. Murrow, reporting on the blitz. One night in a bomb shelter, she meets a doctor from Cape Cod with a letter in his pocket, a letter Frankie vows to deliver when she returns from Germany and France where she is to record the stories of war refugees desperately trying to escape. The residents of Franklin think the war can't touch them, but as Frankie's radio broadcasts air, some know that the war is indeed coming. And when Frankie arrives at their doorstep, the two stories collide in a way no one could have foreseen. 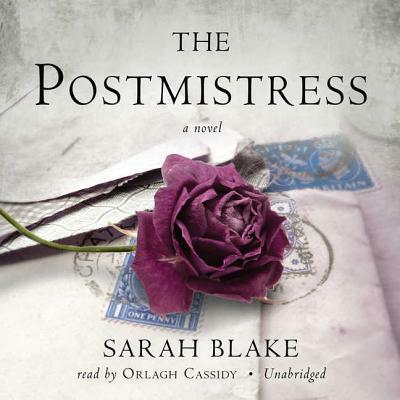 The Postmistress is an unforgettable tale of the secrets we must bear or bury. It is about what happens to love during wartime, when those we cherish leave, and how every story-of love or war-is about looking left when we should have been looking right.